William Gedney’s work was once described as quiet poetry. I can’t think of a finer description of the photographer I’ve never met, but whose work has had a profound impact on my development as a photographer and understanding of photography in all its imperfections and limitations. Intimate is another word often used to describe his work, and although it truly is intimate, I worry that it has become something of a softball descriptor of work that is deeply complex and difficult to categorize. Only the Lonely provides us with a deeper dive into the expansive work of William Gedney. There are three distinct pieces of writing by the editors: “William Gedney, So Similar, So Different: Alone are the Lonely” (Gilles Mora), “Short Distances and Definite Places” (Margaret Sartor), and “Intimate Gestures: Handmade Books by William Gedney” (Lisa McCarty). 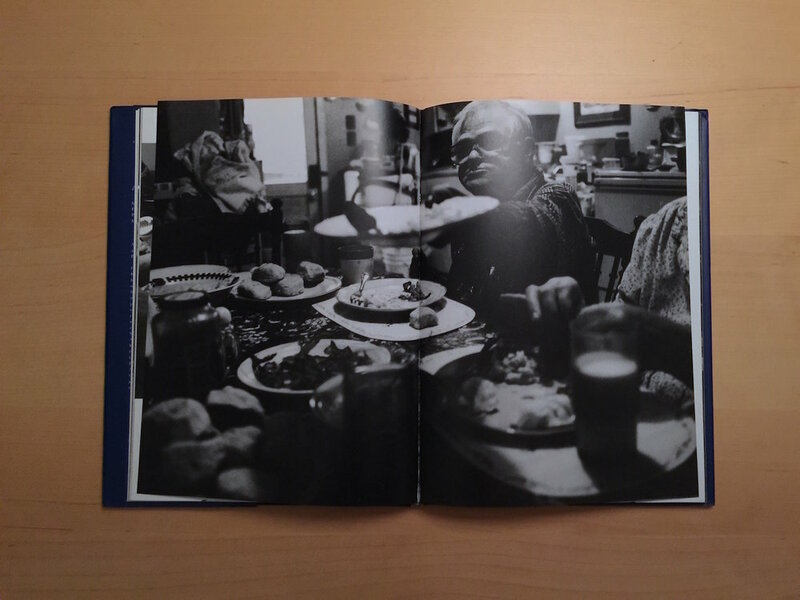 The book is divided into eight sections of photographs: The Farm, 1955-1959, Brooklyn, 1955-1979, Kentucky, 1964, 1972, United States, 1964-1972, San Francisco, 1965-1967, India, 1969-1971 and 1980, Europe, 1974, and Gay Pride Parades, 1975-1983. Only the Lonely, is the most recent significant work of this little known photographer. After his death in 1989, Gedney left the responsibility of his archive to Lee Friedlander, who has published dozens of books of his own work and is still actively making books, yet Gedney never lived to see his work in book form. Sean O’Hagan, who writes about photography for the Guardian, called Gedney a “pioneer of immersive documentary.” There has been somewhat of a resurgence in the work of William Gedney, for which I’m incredibly thankful. In 2013, photographer Alec Soth published Iris Garden, a beautiful book of Gedney’s pictures combined with the writing of John Cage (now out of print). Before that, only one other book had been published dedicated solely to the work of William Gedney. In 1993, Duke University became the repository for 51.3 linear feet of Gedney’s work. Margaret Sartor, a photographer, writer, and teacher at the Center for Documentary Studies at Duke, was approached by the library and asked to put together an exhibit of Gedney’s work. In 2000, Sartor and Geoff Dyer coedited What Was True: The Photographs and Notebooks of William Gedney (which quickly sold out and is also out of print). William Gayle Gedney died on June 23, 1989 at the age 56. In his lifetime, he was awarded a John Simon Guggenheim Memorial Foundation Fellowship for photography (1966-67), a Fulbright Fellowship for photography in India (1969-71), a National Endowment for the Arts grant in photography (1975-76), and several other grants and fellowships. He had a show at the New York Museum of Modern Art (1968-69) as well as more than a dozen other exhibitions. I wrote about my desire for seeing Gedney’s Kentucky work come to fruition in book form exactly as he intended here. In her essay “Short Distances and Definite Places,” Sartor writes of Gedney, “People trusted him. Moreover they trusted how he saw them.” This gets at the very heart of documentary and place-based work for me. It isn't enough to just earn the trust of folks who let you into their lives, although it is a critical and foundational step. Would that all of us in our documentary practice earn the trust of people to the extent that they trust how we see them. What a beautiful relationship to strive for and what a beautiful book to have as a reminder of its possibility. The Kennedy name is not an unfamiliar one in Appalachia. Brothers John and Bobby campaigned there, visits that were well documented and widely circulated. Bobby's son, Robert Jr., has been a longtime environmental advocate working to shed light on the destructive practice of surface mining. For this film (HBO) and companion book, his younger sister, Rory, spent a year off an on with the Bowling family of Saul, Kentucky in Perry County. I struggle with both the film and the book (for example, constantly referring to the Bowling family as a clan, written twice in the dust jacket alone), but I'm convinced that's not necessarily a bad thing. The issues addressed - poverty, welfare, and violence to name a few - aren't as black and white as we'd all like them to be. They never are. And while I struggle with some of the framing of the story, even its very premise at times, it really asks us to consider the complexity of issues - and people - we tend to generalize and marginalize, intentionally or not. Nearly every review I read of the film American Hollow used the word "hardscrabble." I can't tell you how much I hate that word as it seems to be perpetually used to describe life in Appalachia. There should be a drinking game designed around this. 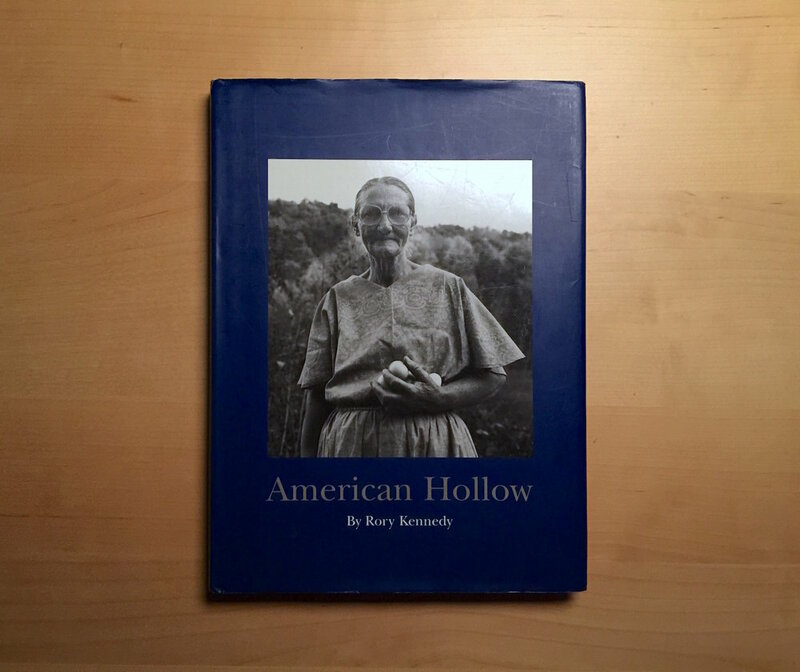 In fact, Kennedy's introduction to the book begins, "American Hollow is a many-textured story about a hardscrabble life of poverty in a beautiful and unspoiled landscape." Drink. She continues, "We expect Appalachia to be a place of inbreeds and six-fingered children, of hillbillies and moonshine, an America more backwards than backwoods. But in my year with the Bowlings, I discovered that the truth is not so simple. Early on, the Bowlings and I forged a powerful connection. They immediately opened up their home to me, and I spent more time with them, I was struck by their sense of dignity and pride as they survived life in this forgotten corner of America." Yes, she went there. The book's foreword was written by Robert Coles, distinguished Harvard professor, Pulitzer Prize-winning author, and founding member of the Center for Documentary Studies at Duke University (as well as cofounder of DoubleTake Magazine with Alex Harris). Coles poignantly writes, "The further hope, of course, is that the rest of us take notice of Appalachia, that we become thereby connected in mind and heart to a people both proud and vulnerable, who at a distinct remove from us, even as they salute the same flag we honor, speak the same language we favor. Under such circumstances a nation lives up to its name." Coles describes working in Appalachia as a young physician, which seemed to leave a lasting impression. Most of the film's focus is on the Bowling family matriarch, Iree. She is really something. She birthed and raised children (thirteen in all), cooked, cleaned, sewed, gardened, doctored, quilted, and did just about everything else that needed to be done on the family land. "I feel like I'm rich, rich as the Lord wants me to be," she declares. She has dedicated her entire life to preserving the old ways, the traditions, and worked to care for her family. Kennedy writes, "Ultimately, I think she knows that her way of life won't survive much longer." As one might imagine, there is a clear distinction between American Hollow the film and American Hollow the book. It bothers me to no end that photographer Steve Lehman's name is absent from the cover. It is understandably Kennedy's film, but it is very much Lehman's book. As such, it's hard for me let go of this oversight. Without question, the book is beautifully printed and bound. I appreciate text-heavy photobooks when the text isn't merely ornamental; here it is instrumental. The interviews, conducted by Mark Bailey, are masterful and work well in concert with Lehman's photographs. One particular interview with Ivalene Estep (the third child of Iree and Bass), is especially moving. "I've been taking care of kids all my life...It's like this circle we all get in and we're afraid to get out," Estep shares. This could very well be my family. You can pick up a copy of American Hollow for incredibly little money (as of this writing, I count at least eight copies for less than five dollars including shipping). As I mentioned earlier, I struggle with this book but feel it's a good addition to any collection. It's certainly worth your time to sit with and study a while. I met director Rory Kennedy at the Full Frame Film Festival in Durham, North Carolina in 2010 after screening the film (and she signed my copy of American Hollow). A few months earlier, I photographed her brother, Robert Jr., at a debate with Don Blankenship, former Massey Energy CEO, in Charleston, West Virginia. I met two Kennedys in the span of four months. The film can be seen in its entirety here. For the first time, I've added a flip-through of the book I'm writing about (below). It's not the best quality as I'm not a videographer (as evidenced here), but I thought it would be nice to provide a more complete overview of the book, its pace, sequence, and design. We'll see how this one is received and if there's a demand, I'll add more. Thanks for looking.